In 1883 the shop was redesigned with the colourful umbrella by Josep Vilaseca a few years before the 1888 Universal Exhibition. 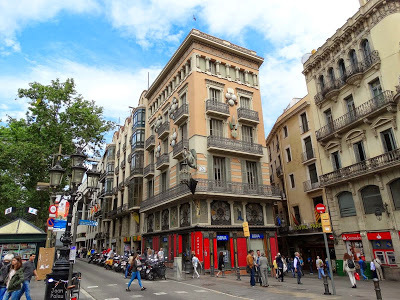 The Barcelonan government was expanding, renovating and investing in building new and interesting buildings throughout the city. 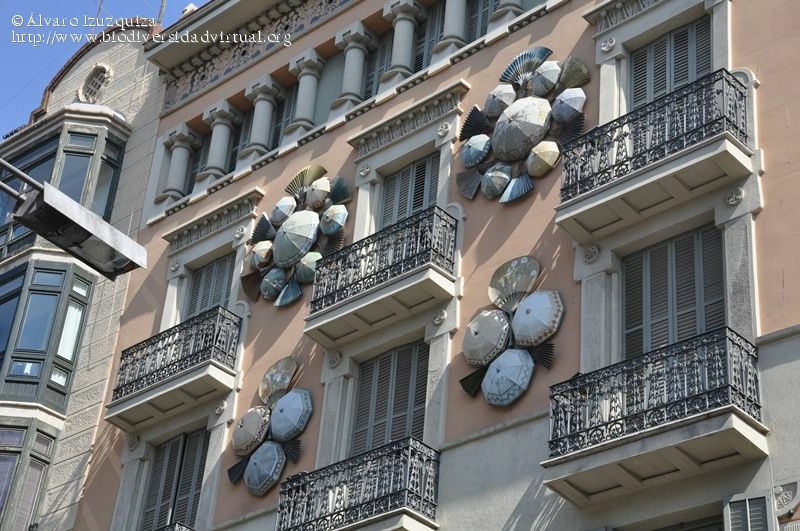 During this time Modernism was growing and inspired the re-design of this building. 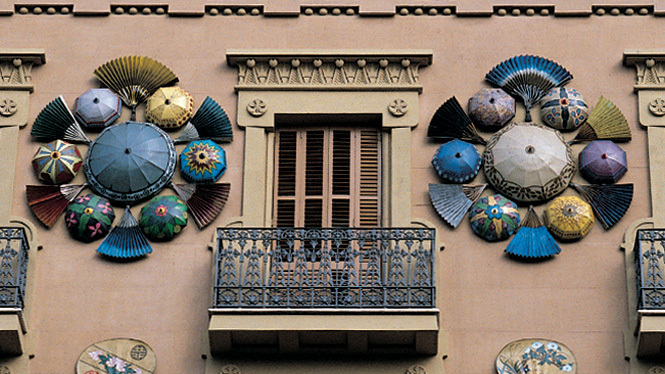 The Casa Bruno Cuadros’s balconies and top floor gallery are inspired by Egyptian imagery, while the façade has cast iron Asian inspired umbrella. There is also stained glass windows throughout the building and an Asian style dragon. In 1980 is was refurbishd and is now a bank with a stunning premise and beautiful architecture. Have a nice stay in our apartment for family in Sarrià!